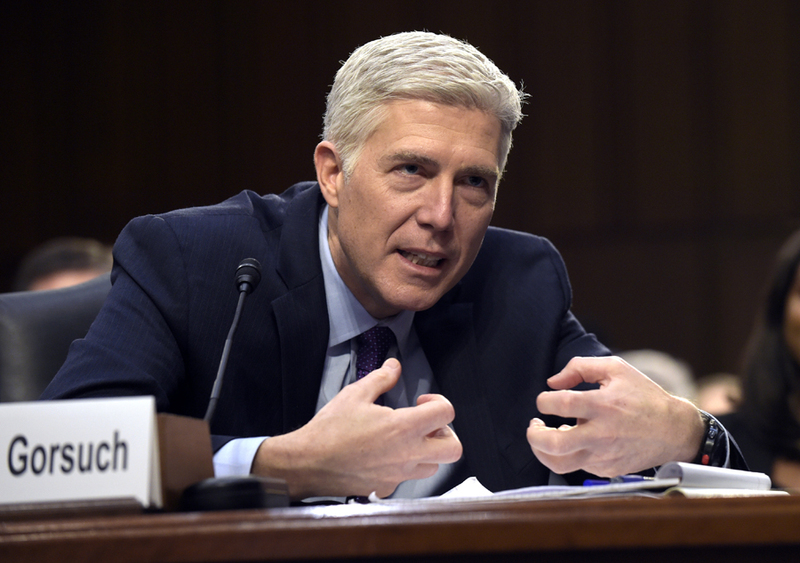 WASHINGTON (AP) — A Senate panel is opening a weeklong partisan showdown over President Donald Trump’s Supreme Court nominee with Democrats steadily amassing the votes to block Neil Gorsuch and force Republicans to unilaterally change long-standing rules to confirm him. The Republican-led Judiciary Committee meets today and is expected to back Gorsuch and send his nomination to the full Senate, most likely on a near-party line vote. Intent on getting Trump’s pick on the high court, Majority Leader Mitch McConnell, R-Ky., is likely to change Senate rules so that Gorsuch can be confirmed with a simple majority in the 100-seat chamber, instead of the 60-voter threshold. So far, 36 Democrats and one independent have announced they will vote to block the nomination on a procedural cloture vote — a parliamentary step to advance a legislative issue — and oppose the choice. Sen. Jon Tester, D-Mont., who faces a tough re-election in a state Trump won handily, announced his opposition on Sunday.